About 13 miles south of San Francisco, the airport is on the bay side of the peninsula in San Mateo County. From the airport, San Francisco’s downtown Financial District is about 40 minutes drive time in normal traffic. Bay Area Rapid Transit (BART) trains operate every 15 minutes with a scheduled time of 30 minutes between the airport and downtown San Francisco. Be aware that BART closes at midnight and resumes at 4 a.m. weekdays, 6 a.m. Saturdays and 8 a.m. Sundays so it is not a viable alternative to the airport for early morning departures on weekends. To picture the layout of San Francisco airport’s passenger terminals, think of a bolo tie (or any necktie for that matter) where the cord is a two-level roadway with departures on the upper level and arrivals on the lower level. The International Terminal straddles the roadway like the sliding clasp (or knot) and three domestic terminals are located on the loop that goes around the neck (in this case the roadway “loop” goes around parking garages). Seven concourses, called piers at this airport, radiate out from the four terminals. Although the terminals are close enough to each other to be walking distance, there are only two situations where they are connected post TSA security. One is a walkway connecting Terminal 3 with the International Terminal and the other is a post-security walkway connecting Gates 40-48 in Terminal 1 with Gates 50-59 in Terminal 2.
International – Gates A1-A12 – Alaska (also uses gates in Terminal 2), Hawaiian, JetBlue, Sun Country and international airlines, which are split between the A and G gates. 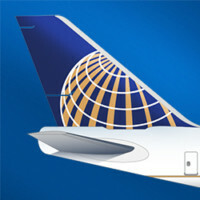 International – G91-G102 – United international flights and international airlines, which are split between the A and G gates. AirTrain, a free automated people mover, operates two lines around the airport, both of which connect all terminals, the terminal parking garages and the BART station. The Red Line travels clockwise through the terminal area. The Blue line travels counter-clockwise and also serves the Rental Car Center. Trains operate about every 4 minutes. To reach the AirTrain stations from terminals 1, 2 and 3, take the elevator or escalator to Mezzanine-Level 3 and cross the passenger skybridge and from the International Terminal take the elevator or escalator to Level 4. Passengers must exit the TSA secure area to use AirTrain. United Airlines domestic flights arrive and depart at gates 60-90 in Terminal 3 and international flights use gates G91-G102 in the International Terminal. Passengers can connect to other gates within Terminal 3 and the International Terminal without exiting the TSA secure area. Connections to any other terminal require exiting the secure area to either walk or use the AirTrain. The heartbeat of the Bay Area, San Francisco is America’s uniquely cosmopolitan city. Home to the iconic Golden Gate Bridge, cable cars, Fisherman’s Wharf, Alcatraz, the city is also famous for its neighborhoods, including the eclectic Castro and historic Chinatown and Mission District as well as the gleaming structures being built by booming tech industries. The San Francisco Travel Authority has tips and visitor information here.